Blackwell is is situated near the town of Bowness-on-Windermere, with views which overlook Windermere and across to the Coniston Fells. 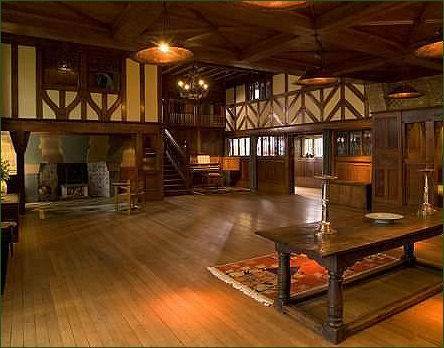 The house is listed Grade I as an outstanding example of British domestic architecture, was designed in the Arts and Crafts style by Baillie Scott. 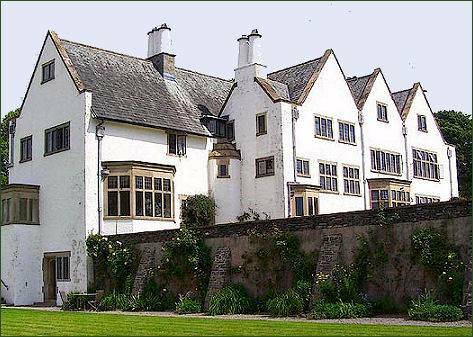 It was built 1898-1900, as a holiday home for Sir Edward Holt, a wealthy Manchester brewer. 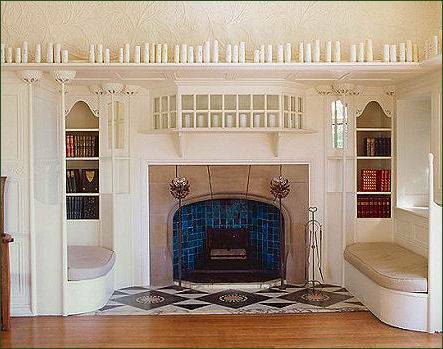 Baillie Scott's use of traditional craft skills and simple enduring local materials is evident in the intricate carved oak panelling, stained glass, decorative plaster work, metalwork and fabric designs. 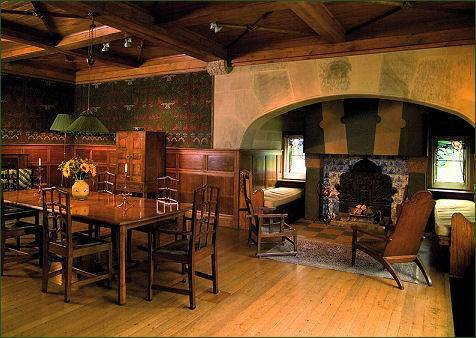 Blackwell is furnished with original furniture and objects from the period. The gardens were designed by the landscape architect Thomas Mawson in a series of terraces. Flowers and herbs border the terraces, which form sun traps on the south side of the house. The house has been open to visitors since 2001 and hosts regular exhibitions including work by living artists such as Edmund de Waal in 2005.